802.11b/g/n WIFI. Installed main battery and pistol battery provides 3200mAh plus 5200mAh lager capacity, supporting more than doubled power to work out. Pegasus PPT4000, 1GB RAM,4GB F.. 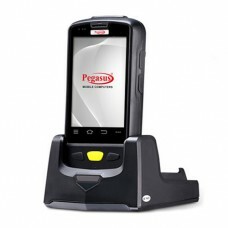 Highly FeaturedPhysical keypad on AndroidWe bring ..
Pegasus PPT4000 Mobile Computer, 1GB RAM,4GB FLASH, MicroSD max.32GB expansion,1D Laser, Bluetooth specification v2.1+EDR,5.0 mega pixels, auto focus,GPS, UHF ISO18000-6C,Android 4.0.4,Cortex-A9 1GHz Dual Core,capacitive, area sensor, 500DPI. Motorola MC3190-Z - LAN 802.11..
Motorola's signature rugged design and dual data c..